I've just finished my exams - hurray! 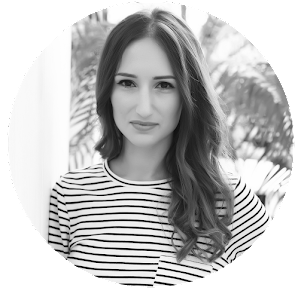 I've spent weeks working and revising and all that time on my laptop resulted in me straying on to many a fashion website. I've been looking for some new taupe boots as my old ones are falling apart! These are absolutely gorgeous and I love the chunky, comfy heel. 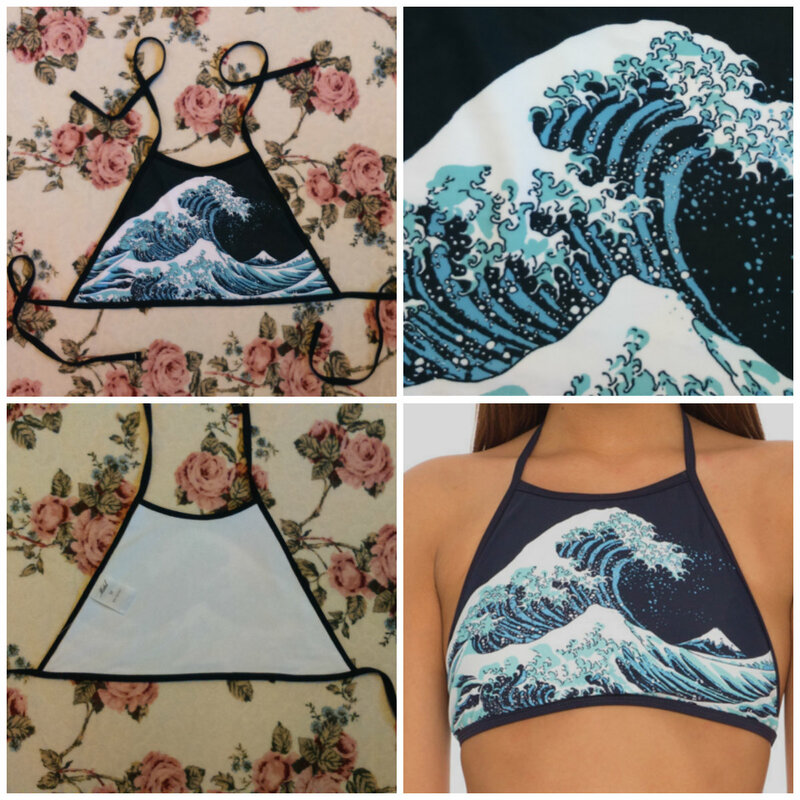 I love this bikini as it reminds me of one of my favourite artists - Hokusai - in fact, I think the picture comes directly from one of his paintings. I didn't get the matching bottoms as they weren't tie-side which is the only style I like, I'll buy some cheap grey or navy ones to wear with it. 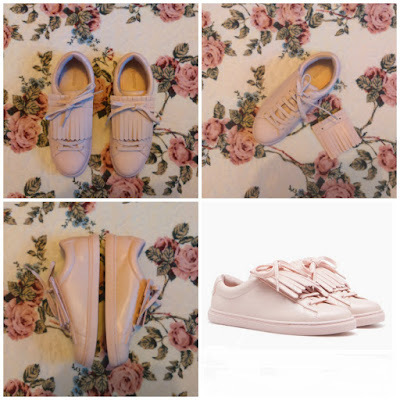 I couldn't resist these cute little trainers from Stradivarius! They'll be really useful come spring and they're very versatile as you can take the fringe off for a more casual look. I love fresh white jumpers and that, combined with the cute little saying on this one, meant I just had to have it! I'll be wearing this all year round. Stunning selection! Absolutely love your choice! 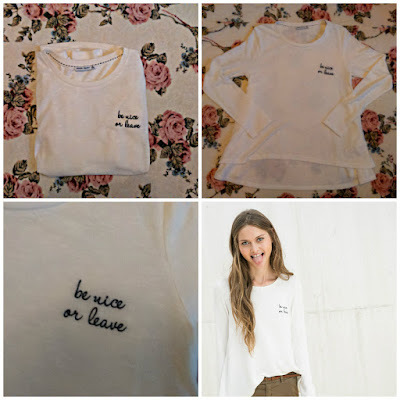 I like the saying on the white tee! Those booties are really nice too - I like the detail in the back! Thanks, I do love it when something has a cute extra detail! 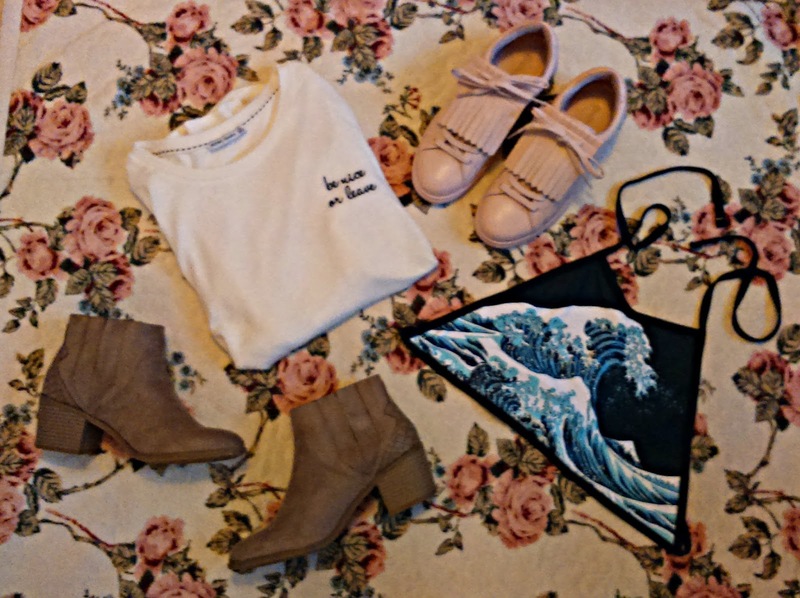 great purchases, my dear, the boots are really awesome, I love chunky heels too, they're so confortable and chic.. Thank you! It's got to be done - you have to treat yourself! I love love love Stradivarius, so glad it's now in the UK. omg, such adorable pieces!! love the footwear! Lovely purchases! 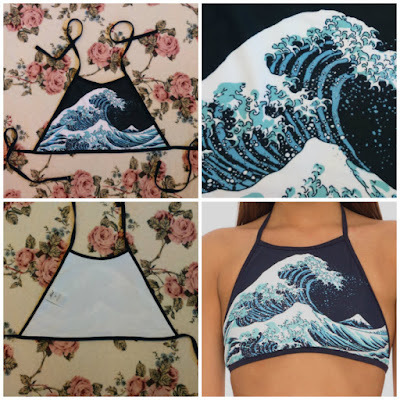 I love the bikini top, it's adorable! 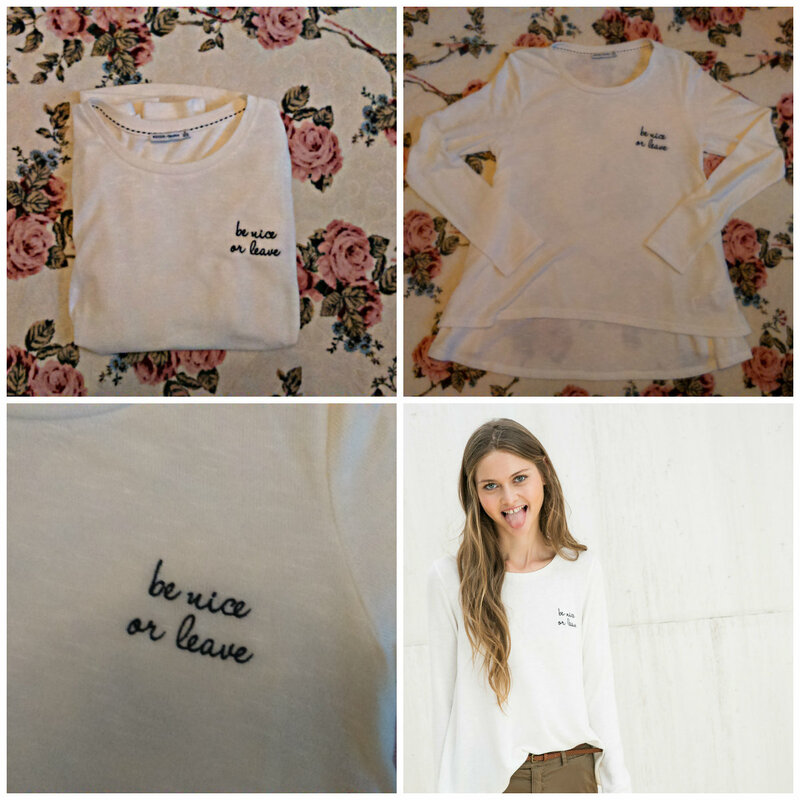 And the be nice or leave top is really cute as well! i love the Stradivarius shoes! they are so cute! 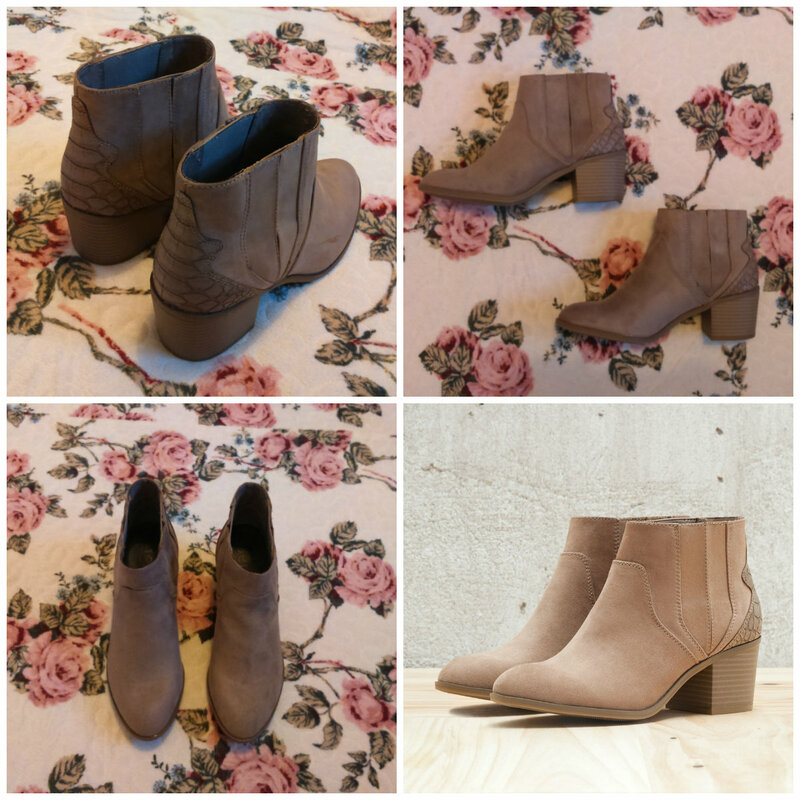 Love those booties, I need a good pair of neutral booties! These are a really great pair - treat yourself! I know, they're so nice! It makes such a difference having the bit of snakeskin detailing. And Do you have GFC? Thanks! Have followed you back on google+, don't have GFC I'm afraid. I love these brown booties. So cute! Such cute purchases! I'm loving the pink sneakers!